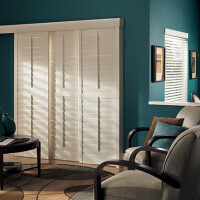 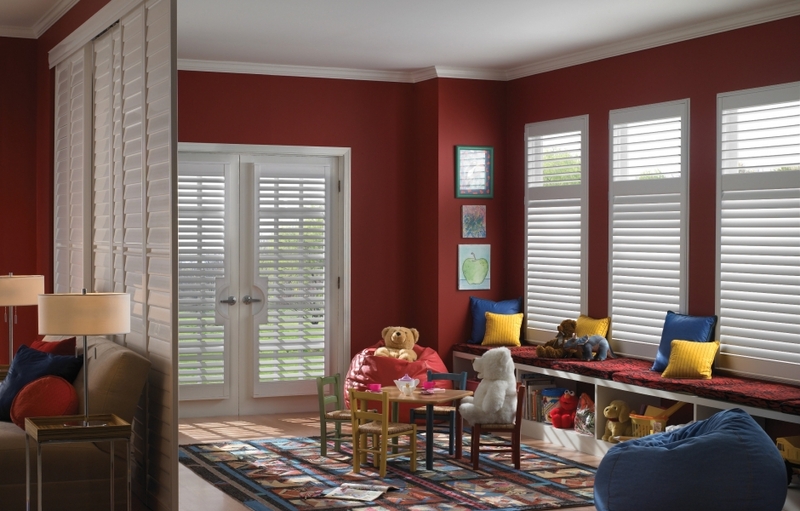 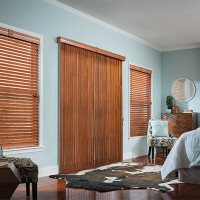 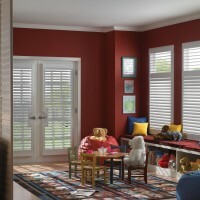 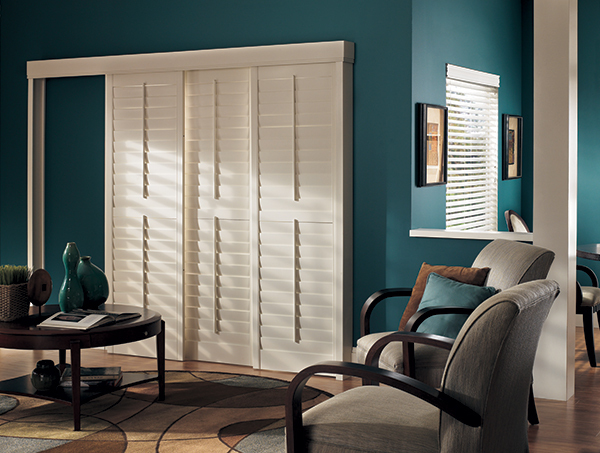 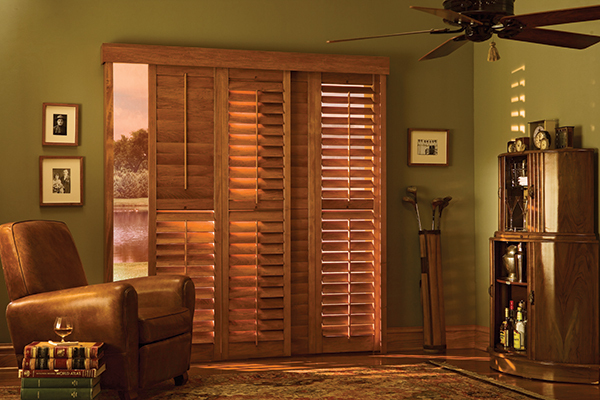 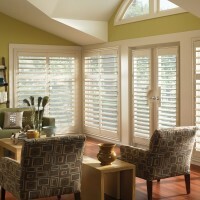 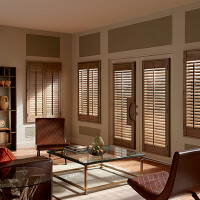 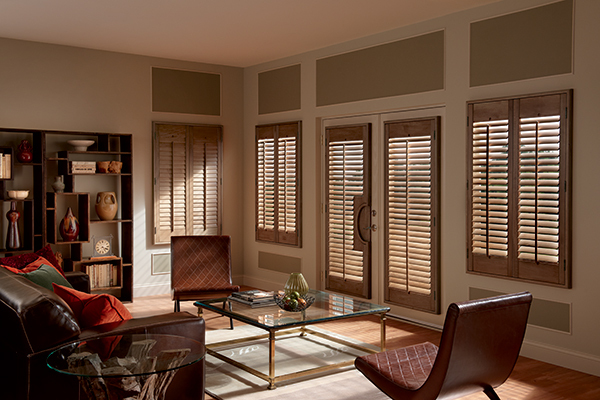 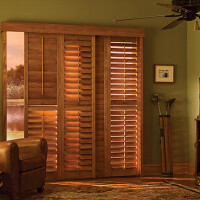 The timeless beauty and durability of shutters create a patio door statement unlike any other treatment. 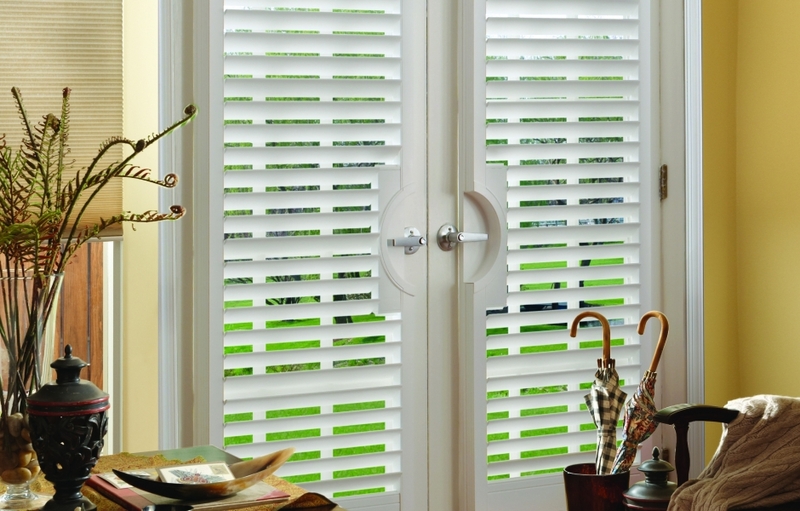 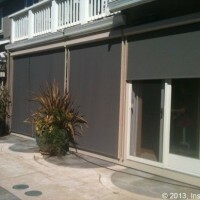 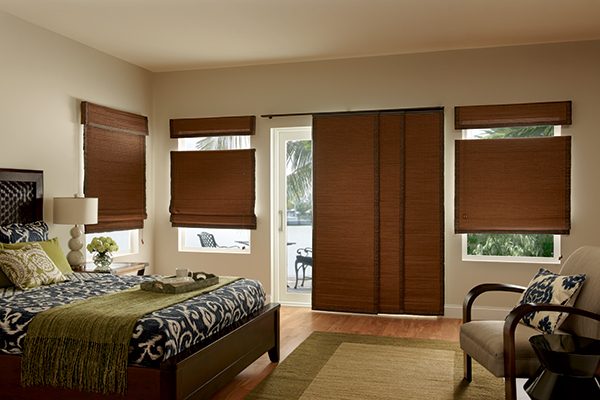 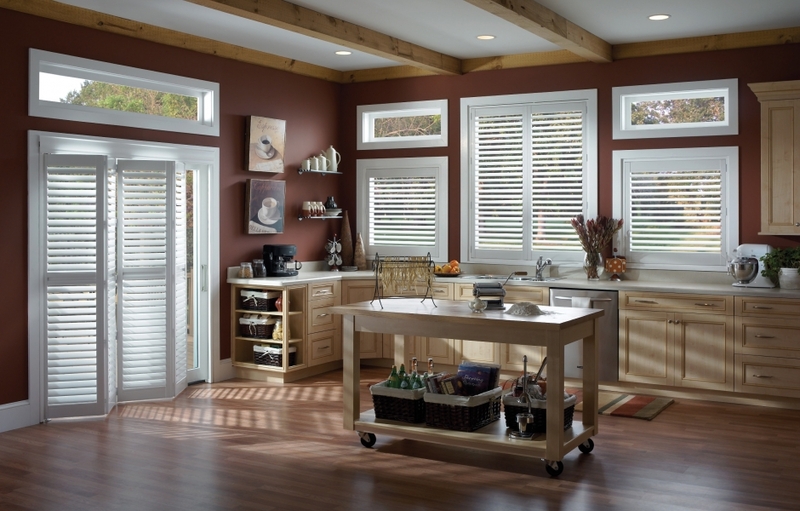 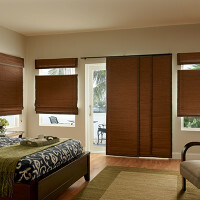 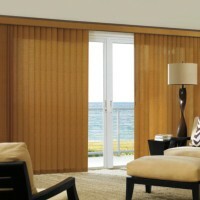 Shutters for a patio door operate on a track system that can open as sliding panels or as an accordion fold. 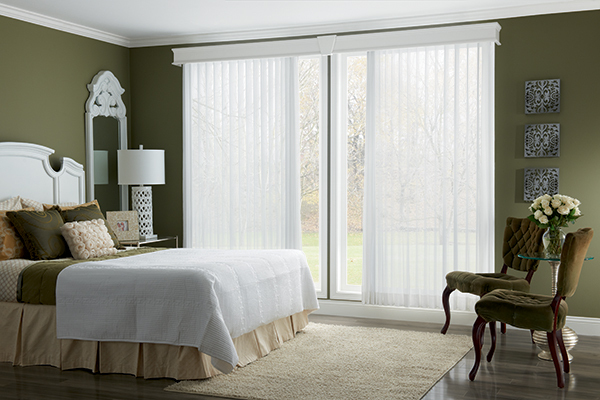 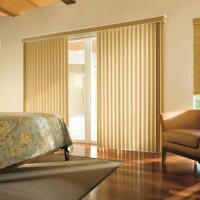 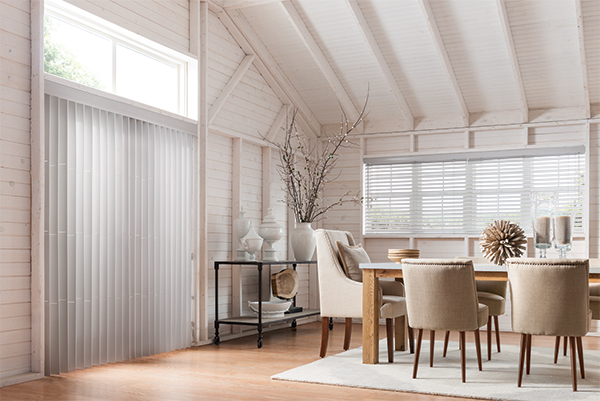 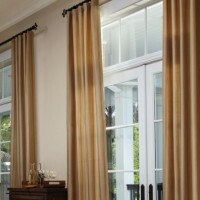 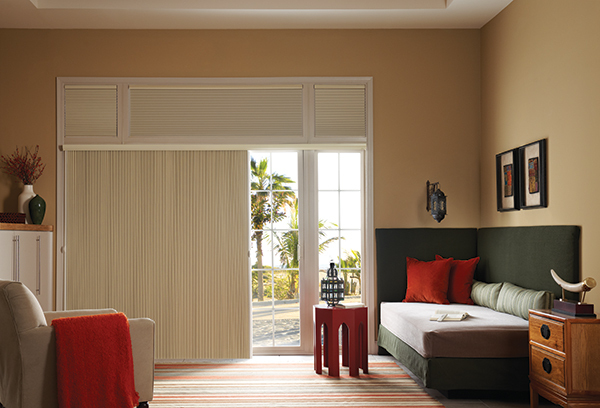 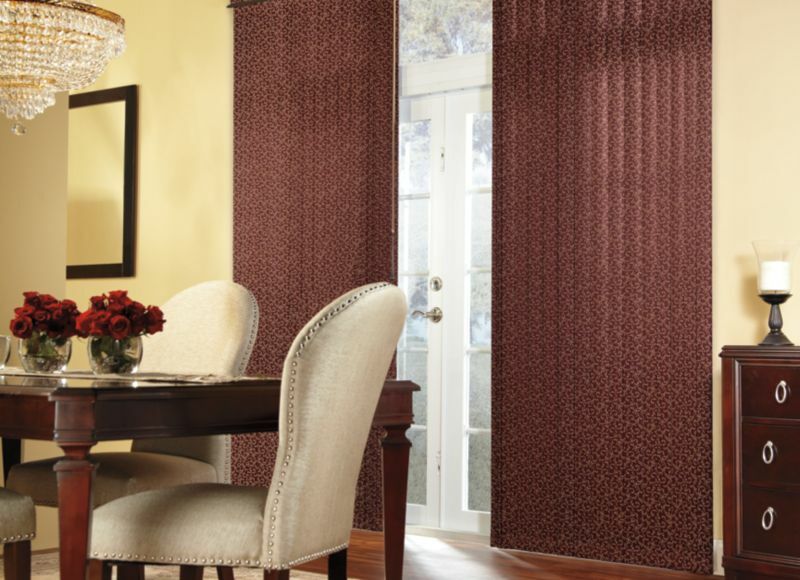 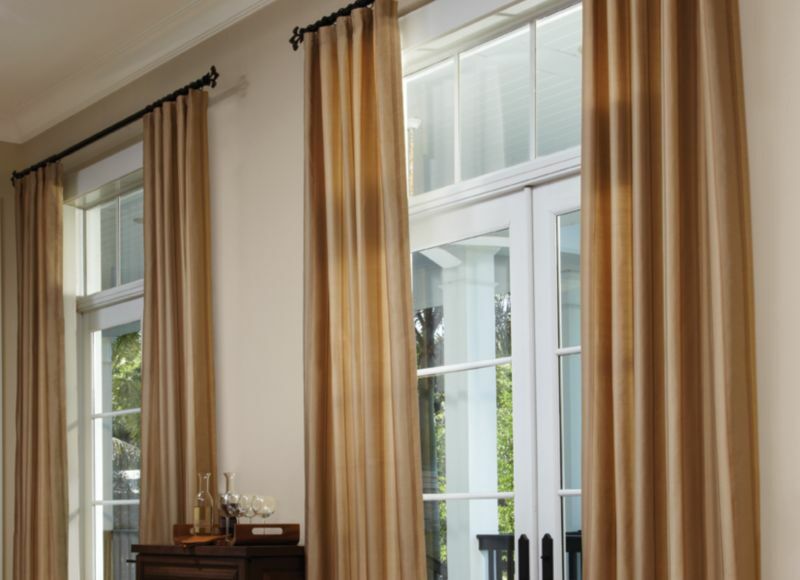 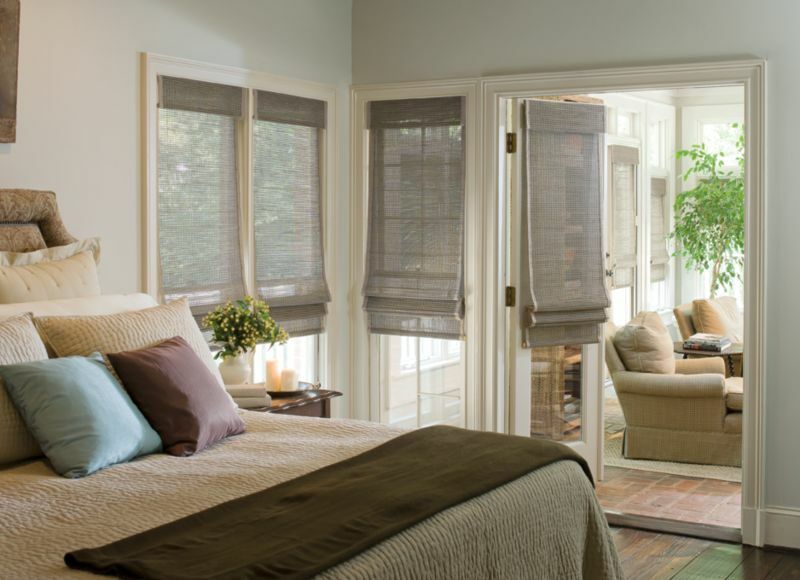 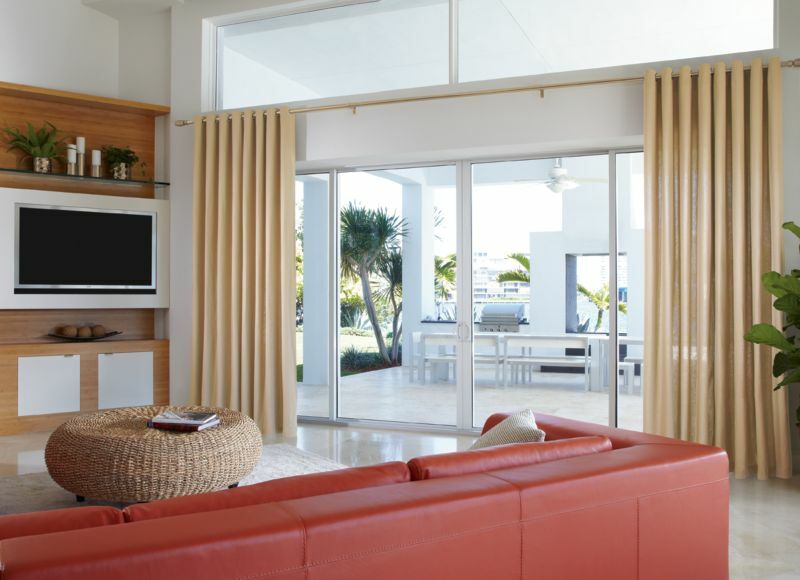 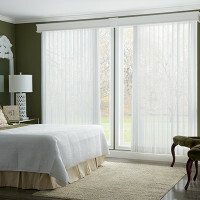 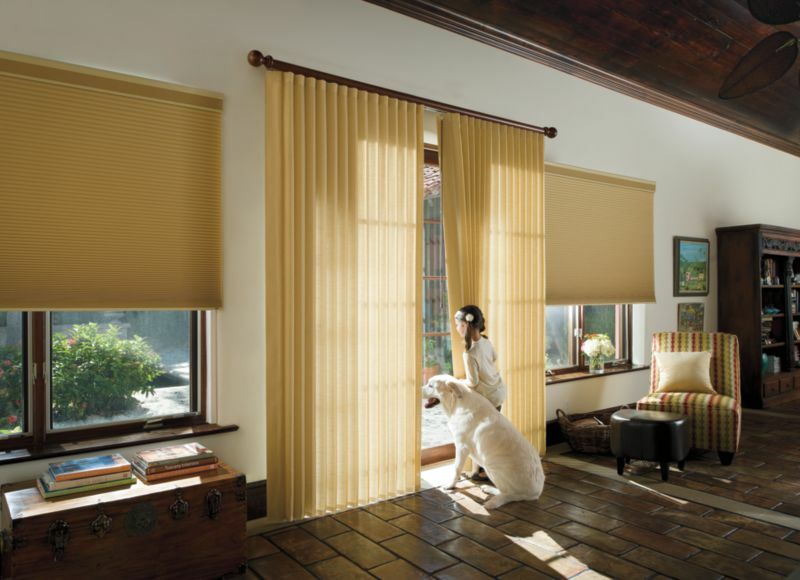 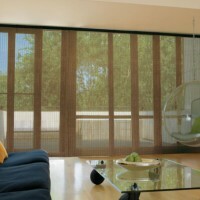 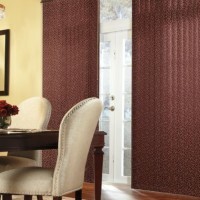 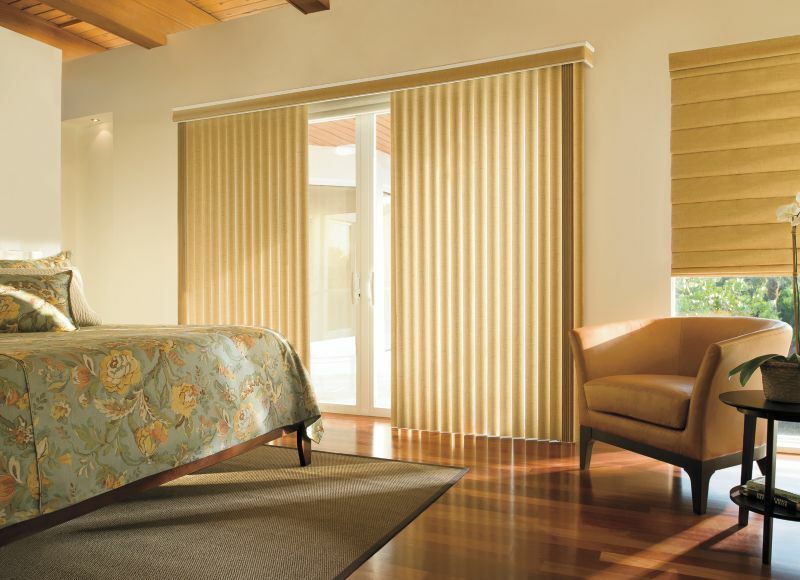 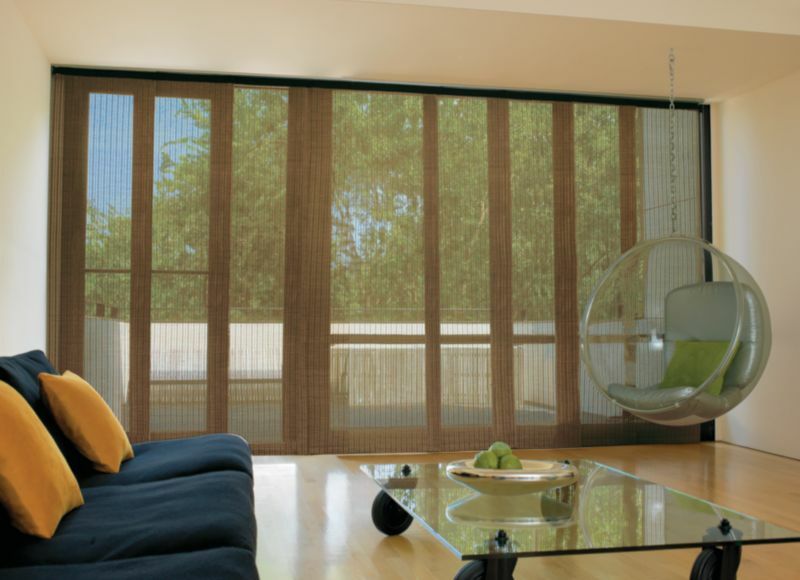 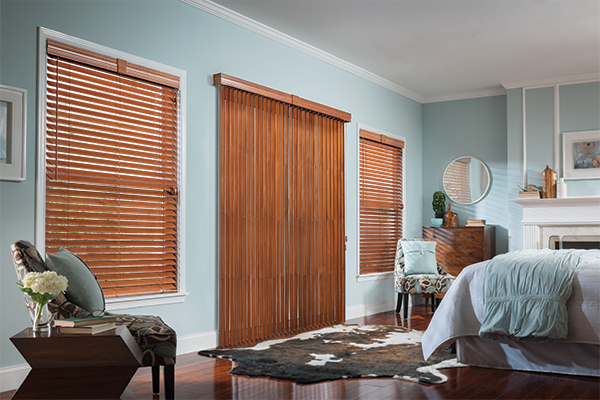 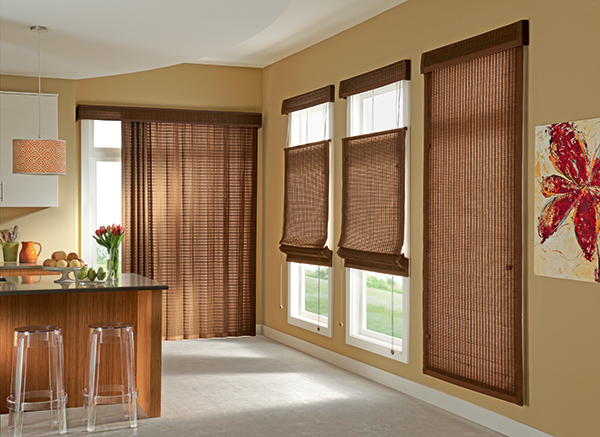 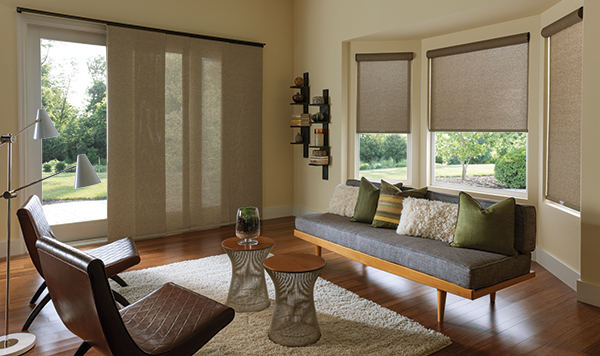 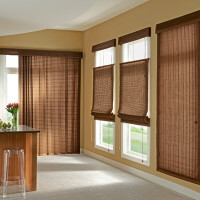 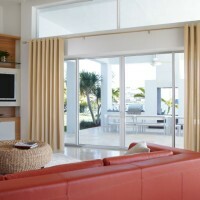 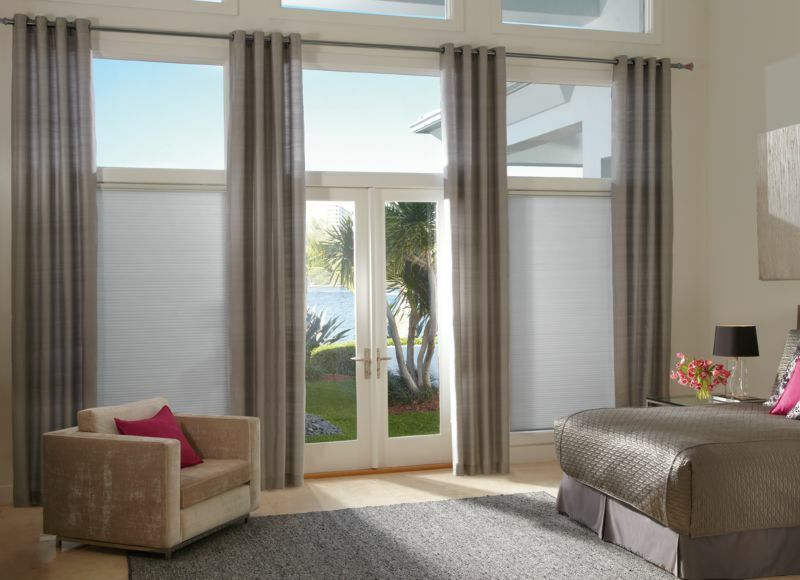 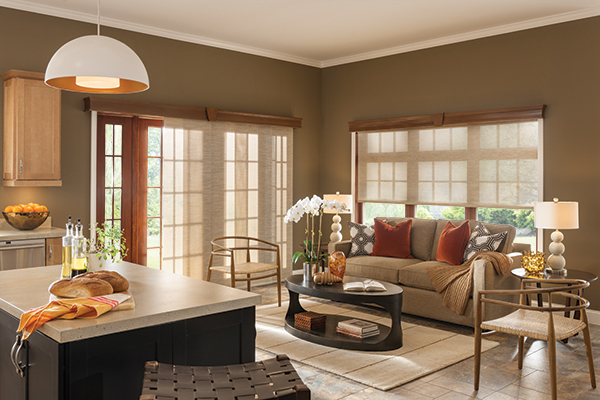 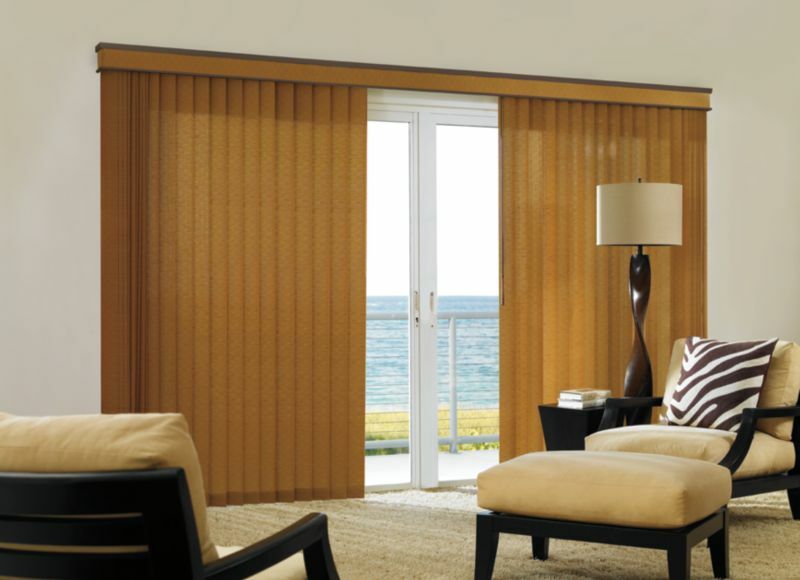 Verticals can complement any decor and are available in vinyl, fabric, metal and wood. 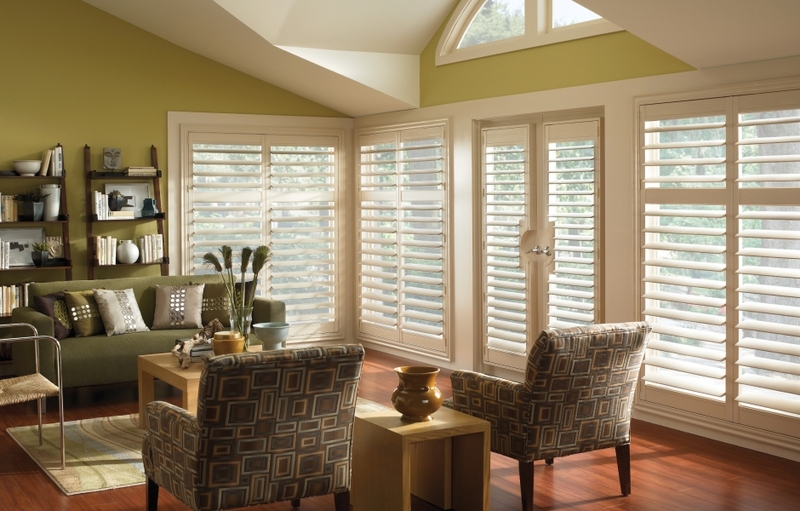 Vane Sizes are typically 3 ½” and many are available in S-Curve option. 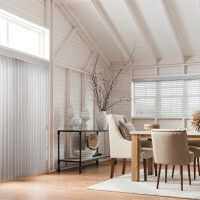 The versality of stacking gliding panels are becoming the most popular treatment for more modern and contemporary homes. 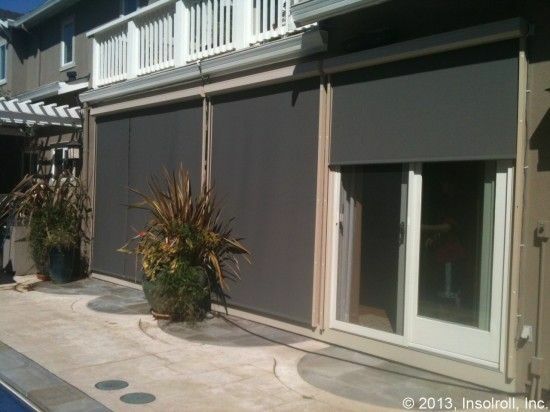 Panels vary in width from 11″ up to 36″ and are available in style choices of solar screens, woven woods and flame retardant fabrics.